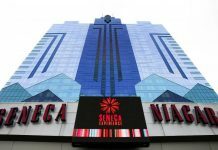 Penn National Gaming (PNG) a major casino operator in the state of Pennsylvania has recently dropped a major lawsuit contending the state’s decision to auction as many as 10 licenses to “mini-casinos”. 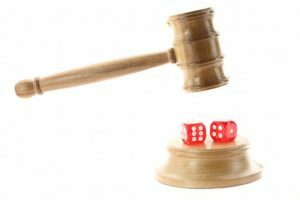 Earlier this year, the gaming giant had submitted a federal court case against the state of Pennsylvania and its legislation concerning gambling expansion, which allows the state to auction Category 4 licenses to smaller venues locally. Just earlier this week an independent source verified that the company had withdrawn its lawsuit after filing a notice with the US District Court July 12. The cause for concern began when state officials set up a 25-mile buffer zone around its already existing 12 land-based casinos, a law, which denied the construction of mini-casinos. The proximity of the existing venues meant overlapping of some of their prohibited zones. However, the geographical isolation of one of PNG’s properties with the enforcement of the buffer zone meant that certain venues were at a considerable disadvantage because some of their venues’ visitors were travelling from beyond the 25-mile radius. 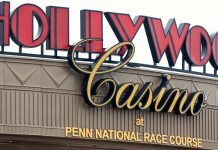 The basis of PNG’s lawsuit was to protect its Hollywood Casino property from cannibalization, but after lengthy deliberation by top brass, the company decided to drop is lawsuit. In efforts to buffer the competition, the company has decided to pursue its own mini-casinos, with a new venue in York County, in the south of the state roughly one hour from its Hollywood venue amid concerns that the string of newly emerging mini-gambling venues would eat away the profits of their already isolated establishments by greater orders of magnitude. After pumping in more than $50 million to attain majority rights five licenses have already been sold to the company with three others going to Stadium Casino LLC, the operator of Mount Airy Casino Resort, and Greenwood Gaming & Entertainment, and two remain. Eric Schippers, a spokesperson for PNG, claims that the company’s decision to withdraw its lawsuit, though difficult, was a firm “business decision”, realizing that it was smarter for the company to fight the state’s decision, because with the lawsuit off the table, the company could use the money on the table to purchase. Legal death regarding the issue was no longer a concern. 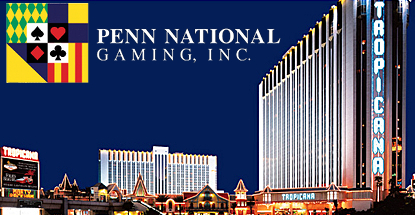 Penn National Gaming operates 29 facilities throughout North America, including Canada, which includes casinos and racetracks, many of them under the brand Hollywood Casino. Its headquarters are located in Wyomissing, Pennsylvania.